In high school, I made the huge mistake of paying $5 to get my eyebrows threaded at some small strip mall salon called Canadiana down the street. So basically, I have pretty much no eyebrows. I mean, one side is literally almost gone. 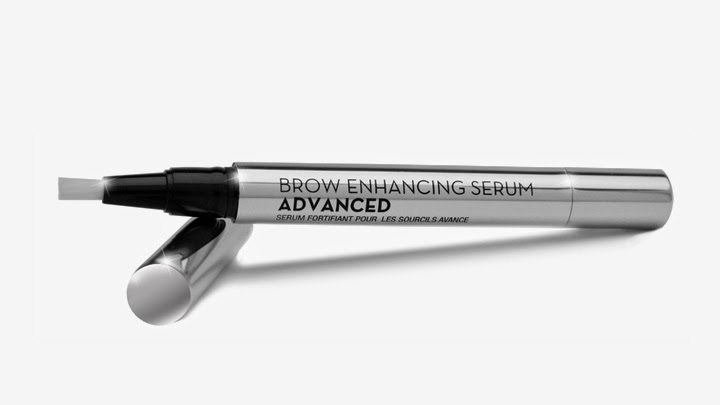 I pencil them in every day but that can get pretty exhausting so one day when I was browsing at Sephora, I decided to take my chances on the Anastastia Bevery Hills Brow Enhancing Serum. I went in pretty skeptical as I've been a sucker for those TV infomercial beauty scams in the past but I was surprised by the amount of hair I grew back and the thickness of it. I also really liked the packaging itself with the applicator brush although I read that some people didn't like how many times you have to turn to click the product out but I didn't have a problem with it. My only problem I had with the product is the price ($50) for the amount of serum in the tube (0.06 ounces). I felt like it went by very quickly so it would have to be applied a lot more to get the full results. I think I'll try another product first before going back to this one. Maybe Demi Lovato's favourite, Latisse.